Christ is at the center of our life together at Christ Lutheran Church. The Divine Service is where Christ comes to us with His gifts of forgiveness, life and salvation through His Word and Sacraments. Christ speaks to us and blesses us through the Means of Grace. We respond to Him by speaking to Him in prayer and praise and thanksgiving. Our congregation uses the historic liturgy that has been handed down to us through the centuries. We utilize a variety of settings of the Divine Services from the Lutheran Service Book at all our services. Our congregation has used both the historic one year and currently uses the three year lectionary. The lectionary uses a selection of readings from the Old Testament and New Testament every Sunday of the church year. Preaching in our congregation proclaims both the Law (which curbs us from sin, shows us our sin, and guides us in Christian living) and the Gospel (which shows us our Savior and forgives us of all our sins). Our congregation celebrates the Lord’s Supper every weekend at our Saturday night and Sunday services. We sing a variety of traditional hymns both modern as well as historic hymns that have stood the test of time and teach the faith. Reverence, ceremony, vestments, chanted responsive liturgy, festival processions, with elders and acolytes assisting are all part of what you will witness. For more information on our worship, liturgy, Divine Service and much more, please click on the links below to our Synod’s website. 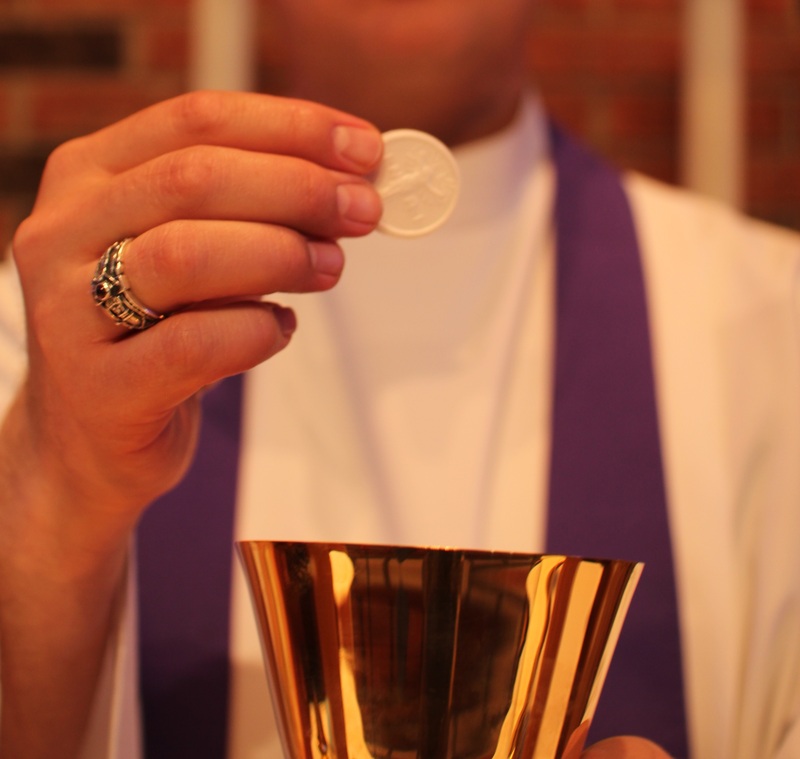 WHAT ABOUT OUR LITURGY IN THE DIVINE SERVICE? WHAT ABOUT THE CHURCH YEAR? WHAT ABOUT THE THREE-YEAR LECTIONARY? WHAT ABOUT OUR MUSIC AND HYMNODY? WHAT ABOUT CHILDREN IN WORSHIP? We take seriously the spiritual care of those who commune at our altar. Those who eat and drink our Lord's body and blood unworthily (not recognizing the real bodily presence) do so to theier great harm (see 1 Corinthians 11:27-29). Therefore, any who are not yet baptized, instructed and confirmed in the teachings of the Lutheran Church Missouri Synod (Luther's Small Catechism), in doubt, or who hold a confession (Beliefs) differing from that of the LCMS, and yet desire to receive the sacrament, will want to first speak with a pastor before communing. All Non-LCMS/AALC visitors are welcome to come up to the altar to receive a blessing by crossing their arms in front of them. For further study see Matthew 5:23f; 10:32f; 18:15-35, 26:26 - 29; 1 Corinthians 11:17-24.